HOUSTON — The next two years will be a key period for the small launch vehicle industry as several companies prepare for first flights of their vehicles and try to find their niche in a market of uncertain size. During a panel discussion at the SpaceCom Expo here Nov. 27, representatives of three small launch vehicle developers said they expected to carry out their first orbital launches in the next year with hopes of quickly scaling up to meet demand they expect from government and commercial customers. 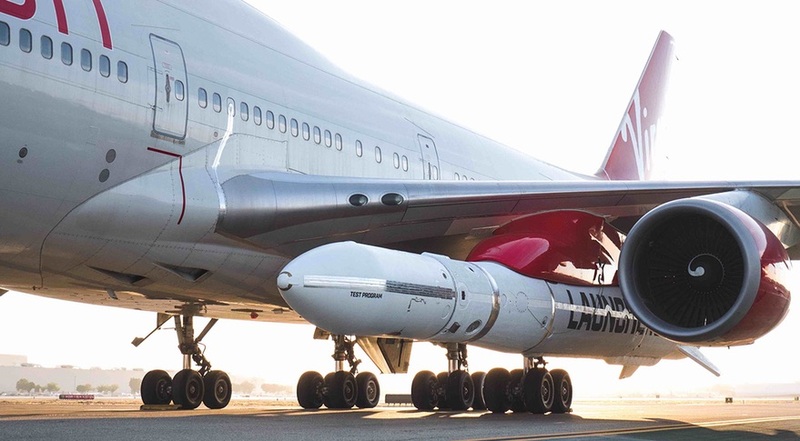 Virgin Orbit is one of those companies, developing a vehicle called LauncherOne that will be air-launched from a modified Boeing 747 aircraft. The company conducted the first captive carry flight of the system, with a LauncherOne rocket attached to, but not released from, the aircraft during a Nov. 18 flight in California. Vector, which performed two very low altitude test flights of its Vector-R rocket, is planning to carry out a third suborbital launch in the Mojave Desert of California “as quickly as we can,” said Greg Orndorff, director of government launch sales at the company. That will be followed by three developmental launches of the Vector-R from Pacific Spaceport Complex-Alaska on Kodiak Island, with the Federal Aviation Administration launch license for them under review by the agency. He didn’t give a schedule for those launches but said that the company’s first orbital launch will take place in 2019. Those companies are following Rocket Lab, which performed its first commercial launch of its Electron rocket Nov. 10 after two test flights. Dozens of other vehicles are in various stages of planning or development. A temporary flight restriction published Nov. 26 by the FAA closes airspace near the Kodiak launch site from Nov. 29 through Dec. 1 for a “rocket launch,” which industry sources believe is another launch attempt by secretive small launcher startup Astra Space. “I think we all service different parts of the smallsat market, and in fact are incredibly complementary to one another,” said Eisele. But with the overall size of the market uncertain, companies are looking to differentiate themselves as well as access different markets. Orndorff said Vector, in addition to orbital launch services, has seen interest from customers for suborbital launches, such as flights that could support hypersonics research. “Those are very interesting discussions that are just now starting,” he said. Firefly is studying development of an orbit transfer vehicle, using solar electric propulsion, for raising the orbits of satellites. Such a system, Kovacs said, could transport spacecraft weighing several hundred kilograms to geostationary orbit or even the moon, although with a transfer time of four to six months. All three companies are also interested in the DARPA Launch Challenge, a competition announced by the agency earlier this year where competitors will have to launch two payloads on short notice from two different launch sites. That competition, they said, could open the doors to additional government business for their vehicles. “Whoever wins the DARPA Launch Challenge is going to occupy the catbird seat, so to speak, in the launch vehicle community and get a lot attention,” Orndorff said.